Does your full-grown dog have no idea what a crate is? 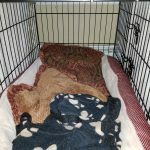 Whether you adopted her later in life, or just didn’t feel the need to crate-train her as a puppy, you might be surprised at how easy it is to teach her to sleep in a crate. I decided to, once again, work with one of my favorite pet product companies, Carlson Pet Products, to try out their Intermediate Double Door Dog Crate. 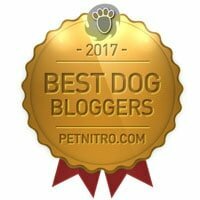 This post is sponsored by Carlson Pet Products – check their online store for crates, gates, cots and more essentials for your dog! 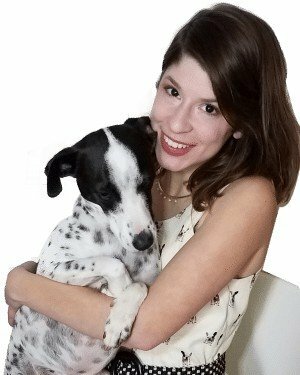 If you know anything about Cow, you know that she grew up as a free-range street dog. When she still belonged to my neighbor, she slept in holes in the dirt, under a truck if she was feeling fancy. While she was in heat, at the time, her former owner locked her in a rusty outdoor cage all night. She was terrified. She screamed and cried, and there was nothing I could do to help her. Her next experience in being locked up was for a night at vet’s when she was spayed. So, I didn’t think Cow would be able to handle being confined. Not with after those traumatic experiences. But I realized that, one day, Cow is going to need to be crated. Maybe she’ll need to be crated for long distance travel someday. Maybe she’ll become sick or injured, and will need to be confined for crate rest. Wouldn’t it be kinder to teach her to relax in a crate, rather than avoid the experience until we had no choice? 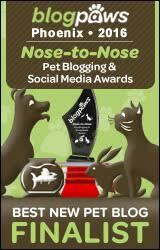 Similarly, you should crate-train your dog because there’s a strong chance she’ll have to be confined someday. Or, maybe your dog gets into mischief when she’s unsupervised. Crating her could keep her from getting into household chemicals, chewing on objects and choking, or otherwise putting herself in danger. I personally feel that crate-training is mandatory, Using the crate every day is optional. First, go ahead and get a generously sized crate. Puppies can’t have a too-large crate, as they tend to use one side as a bathroom. But if your dog is already potty-trained, you’re better off with a large crate that allows her to stretch out. Carlson Pet Products many sizes and varieties of wire crates with pull-out bottom trays that are very easy to clean. When it’s hot out, you can put a cooling pad on the bottom, and the wire sides will allow air to circulate. When it’s cold, cover the crate with a crate cover or blanket and furnish it with plenty of blankets. Inside view of Cow’s crate – it’s big enough for me to get in. Yup, perfectly cozy! I put Cow’s bed inside the crate, then added extra pillows and blankets. I also draped a blanket over it. When I have the lights on when I’m working at night and she’s trying to sleep, she loves having a dark retreat to get a head-start on her beauty rest. This is your dog’s new favorite spot. Make sure it has everything she needs to be comfy. Once your dog’s new crate is decked out, just leave it open. If her old bed is inside, she’ll probably start going in it without any prompting. You may want to hide some tasty treats inside for her to find. Encourage her to rest inside while you’re close by. Maybe you can use your phone, read a book or catch up on your latest Netflix obsession while she’s hanging out in her crate next to you. There’s no need to shut the door at this stage. If she is choosing to relax elsewhere, for example, on your bed or on your couch, you’ll need to develop her preference for the crate. If it’s a matter of comfort, experiment with different beddings and arrangements until the inside of her crate is more comfortable than your furniture. Usually, though, it’s not a matter of comfort – it’s about being close to you. That’s why it’s so important to hang out with her while she’s trying out the crate. As she starts to get used to the crate, you can close (not lock) the door and sit just outside it for ten minutes, then work your way up to a few hours. If she wants to get out, check her needs – take her outside, let her have some water, then encourage her to go back to the crate. 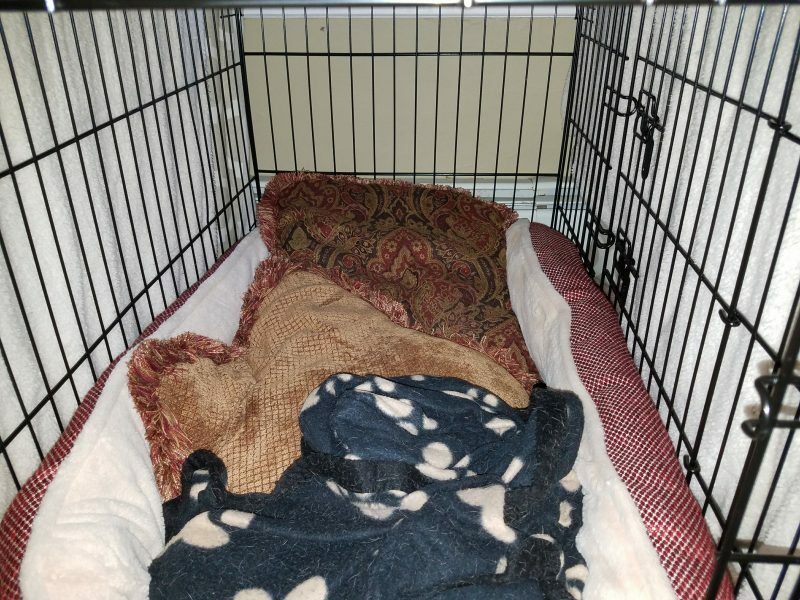 The goal here is to condition her to relax and fall asleep when she is crated, so she won’t bark, cry or try to get out unless she needs to go potty. Ideally, you’ll never have to lock your dog in a crate against her will. If you’re lucky, you can make all of her experiences positive. But if you’re here, reading this post, you might have had a sudden change in your work schedule. Or, maybe your dog needs crate rest because of illness or recovery from surgery. If your dog must be locked in her crate without time to train her before-hand, aim to make her experience as calming as possible. Work towards making crate-time her routine nap-time. Make sure she gets plenty of exercise before she’s crated. If possible, use a lavender-scented essential oil or calming spray, calming treats, a frozen stuffed Kong – anything that can help her relax. 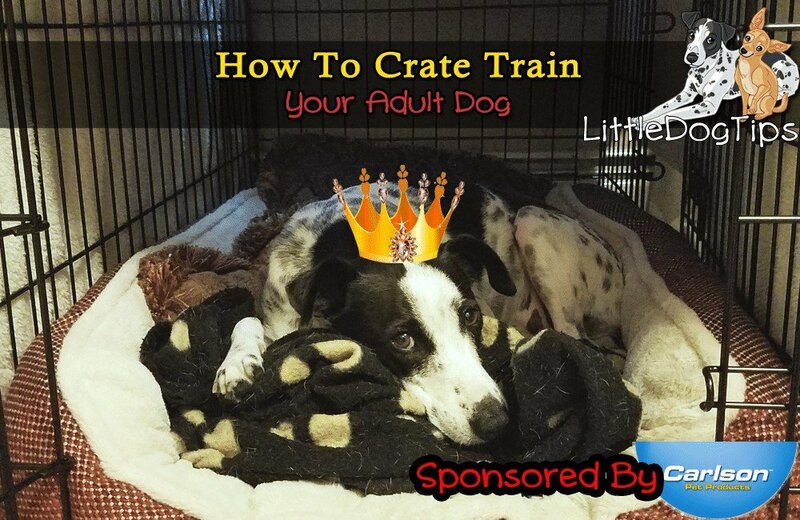 Whether you have time to gradually condition your dog to their crate, or you have to start using it right away, you can incorporate it into your training games to make it a wonderful place to be. I like to use the crate as Cow’s waiting area when we play hide and seek. You can use the crate for feeding time, especially if you have multiple dogs. It’s going to be helpful during the winter when it’s too cold for Cow to eat raw meaty bones outside. The most important thing you can do is feel good about crating your dog. If you feel like you’re locking your dog in a cage like a prisoner, or using it for punishments or time-outs, your dog is not going to learn to love her crate. 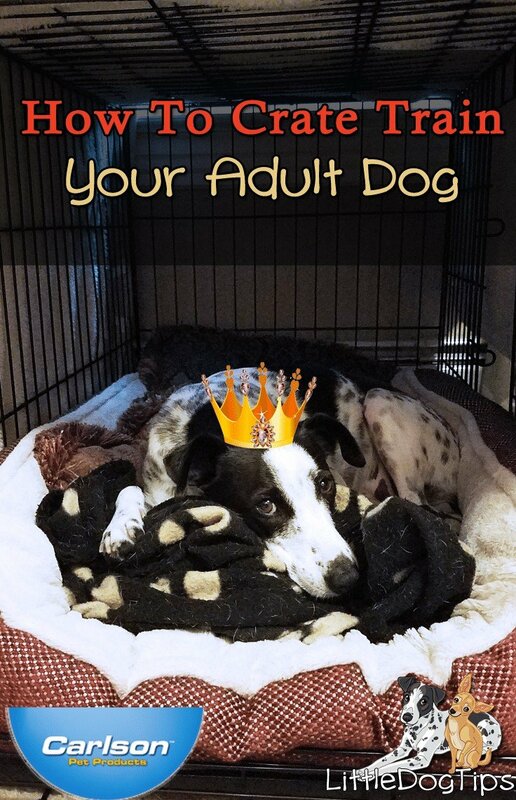 Your dog’s crate is her palace. It keeps her safe and comfy, and you’ve provided it for her because you love her. Remember, it’s never too late to teach your dog to love her crate! Shop Crates Palaces From Carlson Pet Products. Awww! Cow looks adorable with her little crown! 🙂 I’m guilty of not crate training. I never thought there would come a time when my dogs would have to be crated, but it’s definitely something to think about. Great tips on making the experience comfortable for them. I have two 7 1/2yr old dogs. We have never potty trained them properly so of course they sometimes pee in the house. Sometimes they pee in the house immediately after we’ve walked them. We would like to teach them to not pee in the house but don’t know where to start. For that, Your tips are really valuable. So thanks for sharing!